A show’s narrative becomes so very evident when starting from the places where the scenes play out! Of course there are the essentials, the places that are important for our fantastic four in Fight For My Way [쌈, 마이웨이] (KBS2, 2017). 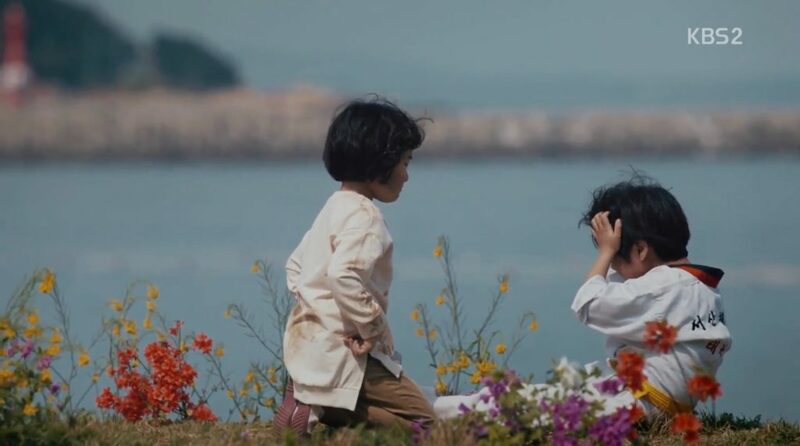 But there are also places that are important for Choi Ae-Ra (Kim Ji-Won) and Go Dong-Man’s (Park Seo-Joon) love to grow, for Baek Seol-Hee (Song Ha-Yoon) and Kim Joo-Man’s (Ahn Jae-Hong) love to stay strong and there are places of frustration; frustrations in love, in the job, with your family and in-laws or caused by one’s social background. But there are also a lot of locations and occasions where our fantastic four don’t give up and believe in their dreams even if they might come with hurdles. Instead of the usual listings, where you can see all filming locations on a map, I wanted to try something new and list all the sites thematically. Let us know what you think of this and, in case you like it, let us know for which K-Dramas you’d like so see something similar! 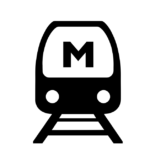 *Clicking on the links will take you to more information on each place, descriptions of the scene(s) and directions to get there. The apartment building, the private rooftop bar and Dong-Man’s gym are all located in Beomcheong-dong, Busan. 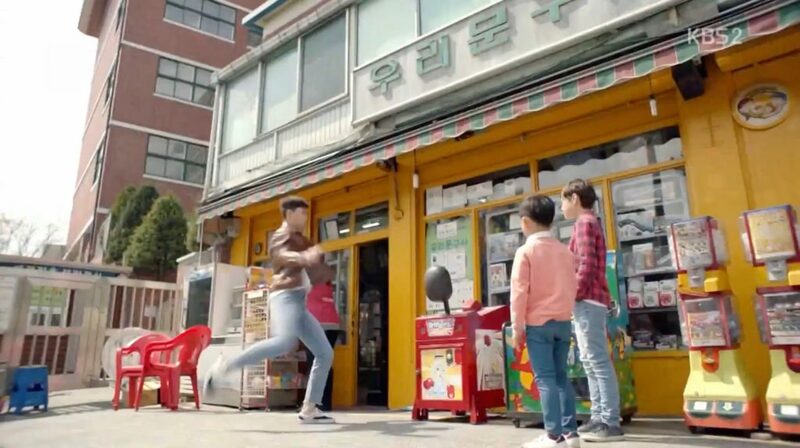 Other recurrent places — especially those that our friends pass by on their way home –, like the yellow-blue house, the building with the Superman drawing and the bus stop are located in Hongdae, Seoul. Where our four friends live: Namil Villa. 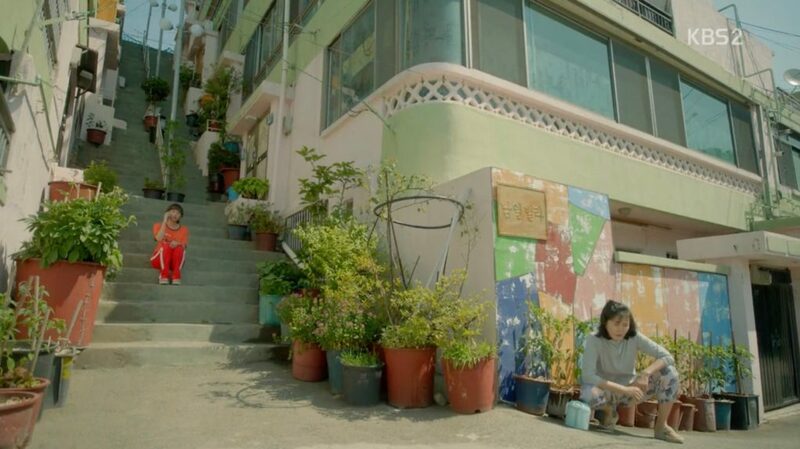 In reality, this is Hansung Apartment Buildings [한성주택], located in Busan. Namil Bar where our friends always hang out: A rooftop in Beomcheong-dong, Busan; half an hour apart from Namil Villa. This is a fake bus stop that does not exist in reality. The concrete wall in the background belongs to Humanist. This is café Dudart. Our friends pass by it from time to time on their way back or from home. I like that this drama gives us a lot of insights into how our best friends turn lovers. We see them falling in love progressively (Who can’t get behind such a storyline?! Squee!) — and the following locations are some sort of milestones in this process and also become its proof. We meet both of them as bickering adults that support each other no matter what. 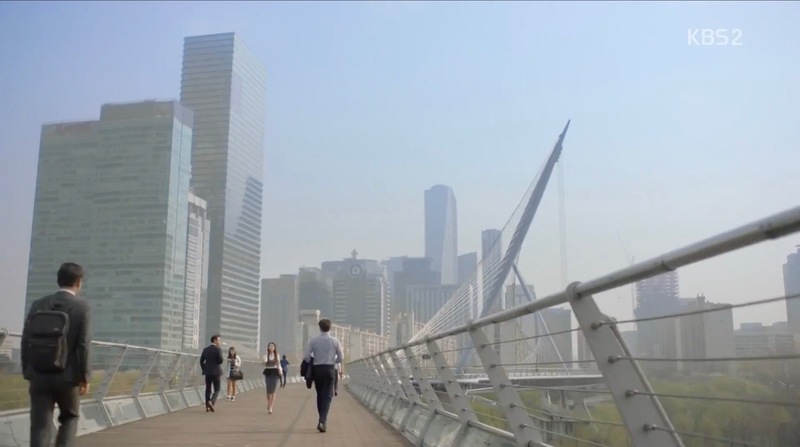 Their complicity transcends the screen right from the start — in everyday scenes like here when they take an overhead bridge in episode 1. 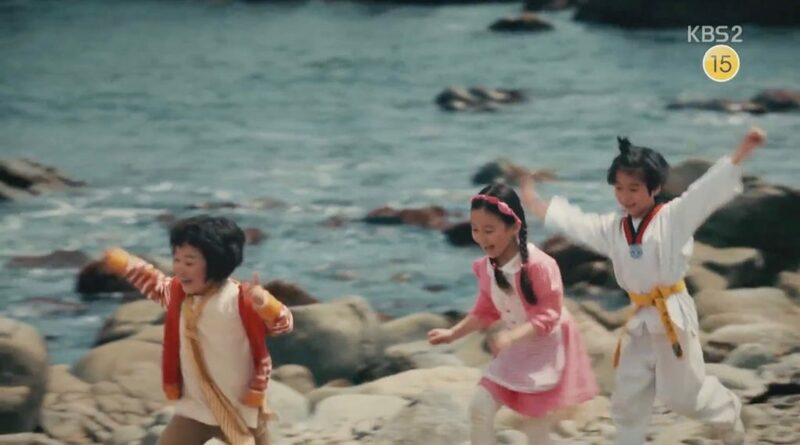 Going back to early childhood, we see Ae-ra and Dong-man playing together at 오랑대 Shrine in Gijang-eup in episode 2; Ae-ra as a leader, both of them interchanging traditional gender roles. Just the day before Dong-man is enlisted, Ae-ra goes to his former house in Seonghyeong-dong, Seoul; just to hear/see Dong-man kiss Park Hye-Ran (Lee Elijah) — in episode 8. This is also when we learn that Dong-man is Ae-Ra’s first love. 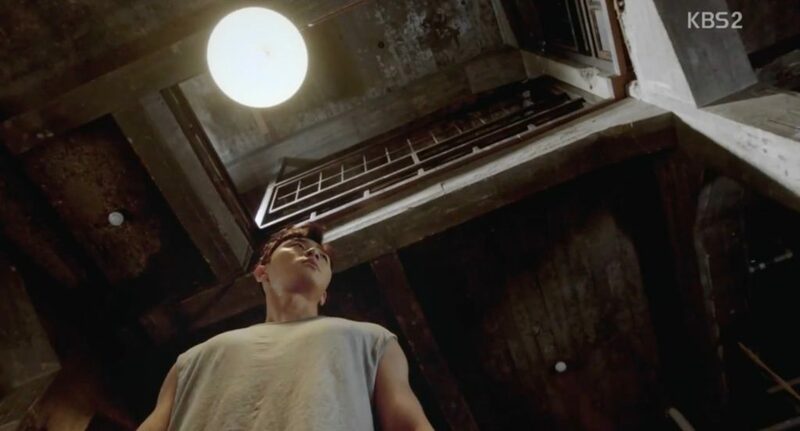 “This is a fort.” Dong-man as Ae-ra’s protecter at the rooftop of Seoul Metropolitan Library [서울도서관] in episode 2. 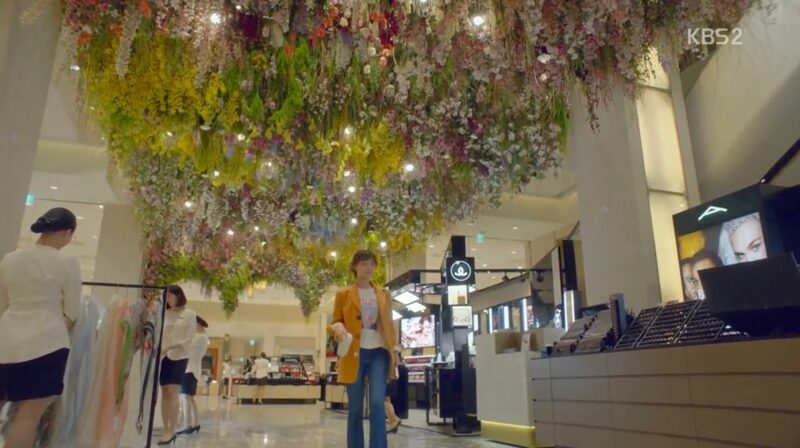 The rooftop is supposed to be the one of Ae-ra’s workplace Shinsegae Department Store — Main Branch [신세계백화점 본점]. Dong-man learns that Ae-ra’s (ex-)boyfriend cheated on her and beats him up in episode 1 at Huam-ro crosswalk, Yongsan-gu. Finally the kiss in episode 10 in front of Espérance Roasters Cafe [카페 에스페랑스]. And another one at Ilgwang Beach [일광해수욕장] right in front of the cafe. Our second couple, Kim Joo-Man (Ahn Jae-Hong) and Baek Seol-Hee (Song Ha-Yoon) have been dating for 6 years but are not married yet even if marriage is always a topic. 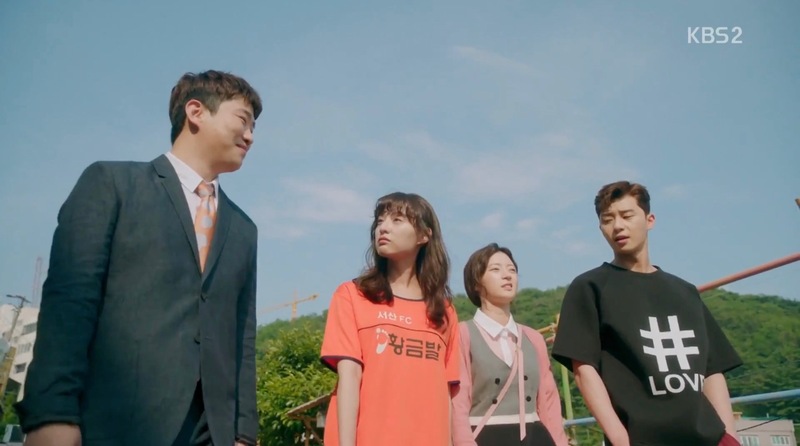 The opposing in-laws and new team member Jang Ye-Jin (Pyo Ye-Jin) put their love considerably to the test as well as their opposing value systems. Joo-Man wants to offer Seol-Hee a good life but is unnerved by her frugal habits — habits she has from putting him through college. Another problem in their relationship is that Seol-Hee is not accepted by her in-laws. They want somebody more “adapted” for career-man Joo-Man. 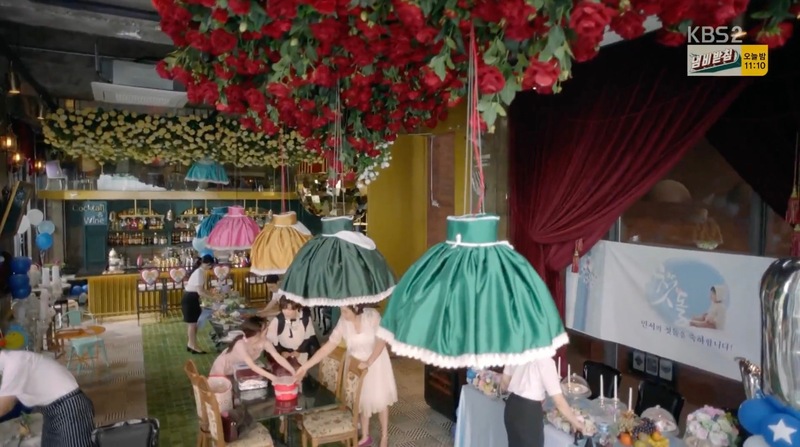 The situation at her in-laws birthday party at Miss Yoon In Wonderland [이상한 나라의 미쓰윤] in episode 6 speaks volumes. 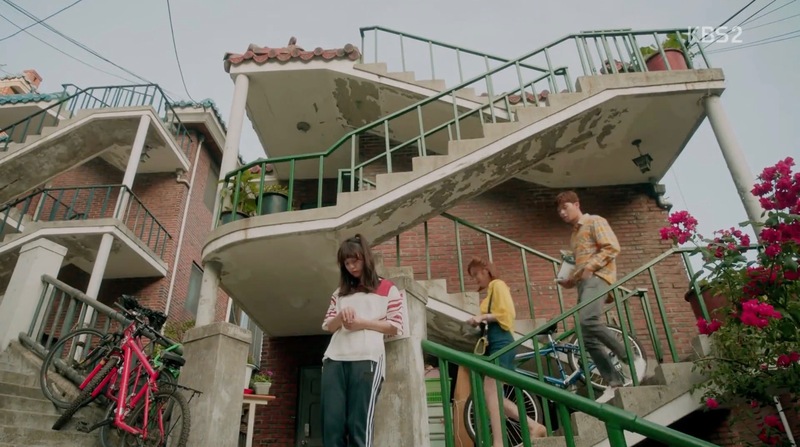 This problem is partly resolved as her ex mother-in-law understands Seol-Hee’s value after their break-up and tries to reconcile with her — which happens at the local bus stop. All of this makes them argue. A whole lot. Like here in front of The Yellow in episode 10. He’s for expensive food, clothes etc. and she is happy with eating an ice-cream on the way back home. 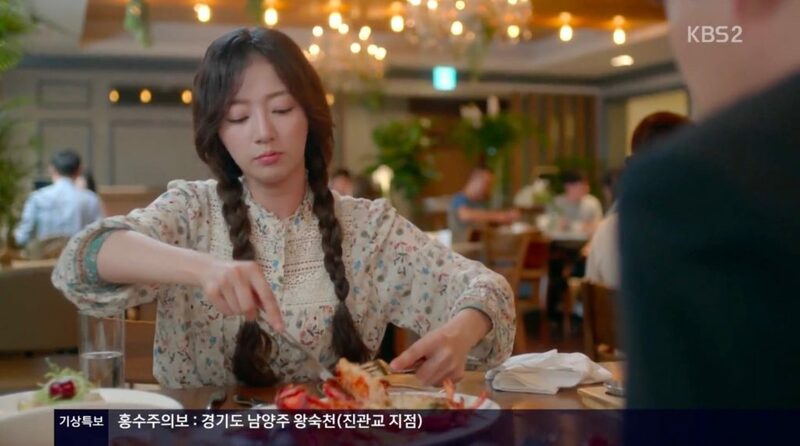 Or in a flashback; this time over a lobster at The Healing Table [더힐링테이플] in episode 15. 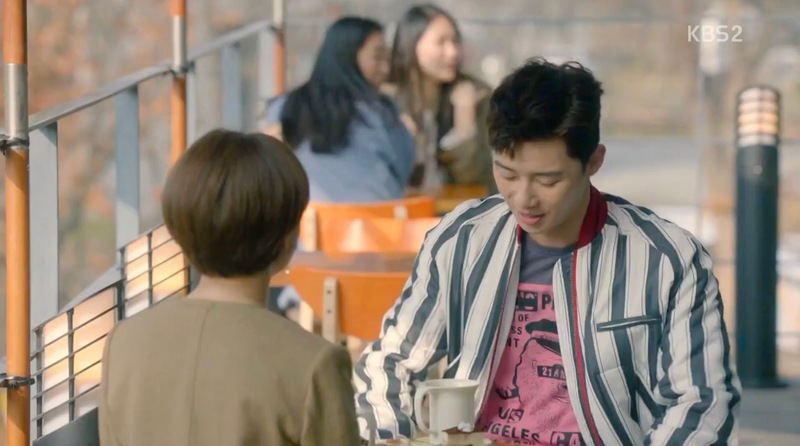 A step toward re-conciliation between this couple is when Joo-man finally draws a clear line and tells his co-worker that he is just not into her. This restaurant was also seen at other occasions, but this situation was most important for Joo-Man and Seol-Hee to start over again. 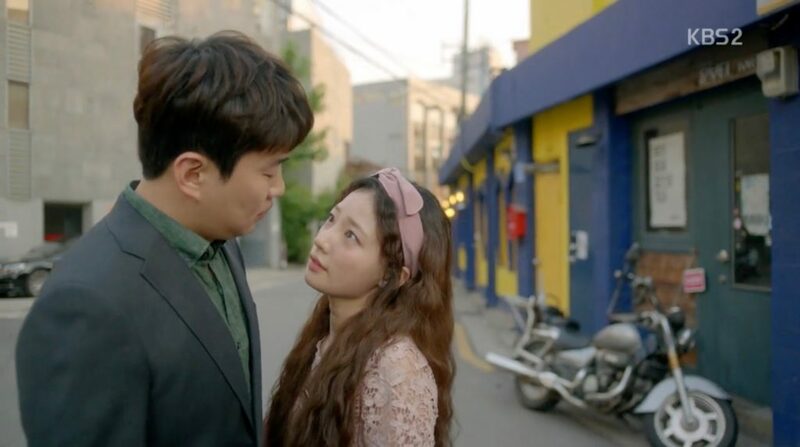 Another step toward this couple to be able to get together again in a healthy way after their break-up is that Seol-Hee became independent – job-wise and relationship-wise. It’s like she metaphorically crossed a bridge of self-development something that was foreshadowed when she was introduced proudly crossing Yeouido Saetgang Pedestrian Bridge [샛강다리] in episode 1. Park Moo-Bin (Choi Woo-Sik), Dong-Man’s (Park Seo-Joon) nerdy classmate from high school, forces himself on Ae-Ra because he is jealous of Dong-Man. Ae-Ra finally gives in and starts to date him. Their relationship is doomed from the outset; Moo-bin is already engaged. On top of this, Ae-ra simply can’t be herself when with Moo-Bin. Too small seized shoes offered by Moo-bin on two occasions symbolize this unfitting relationship. Over the episodes, there a several occasion where we see that both of them are not made to be — but, in revenge, them dating makes Dong-Man jealous and this is a good thing. Too small sneakers gifted to Ae-ra at Seoullo 7017 Skygarden [서울역고가공원] in episode 3. 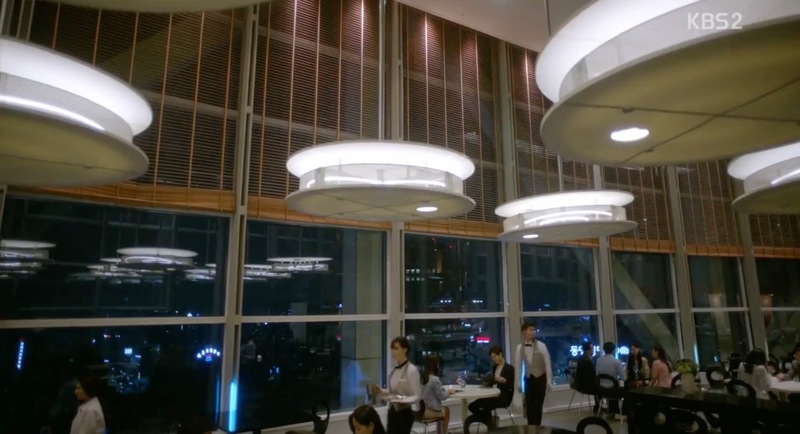 An awkward dinner with white lies, no common interests, and frustration at fancy Top Cloud [탑클라우드] in episode 5. 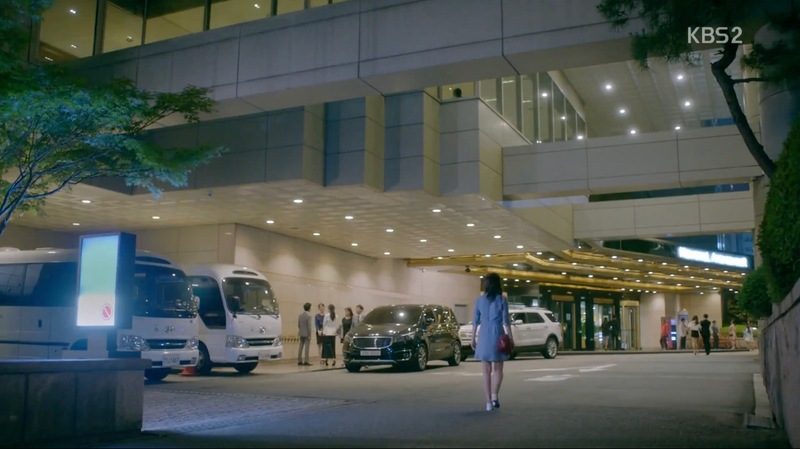 Ae-Ra goes to an event at Novotel Ambassador Seoul Gangnam [노보텔앰배서더호텔 강남점] in episode 7 – suffering in her too small “princess slippers” – to surprise her just boyfriend Moo-Bin but is surprised herself because she finds out that he is already engaged. Moo-bin works at Catholic Kwandong University International St. Mary’s Hospital — CKU [국제성모병원]. He brings Ae-ra here when she feels unwell in episode 7 and kisses her without consent when giving her a visit in episode 7. With Dong-man as an outraged witness — a real knight to safe his princess. In episode 8, Moo-bin brings Ae-ra to Megabox Drive M [메가박스 용인점(드라이브M)] cinema. She hates these kind of places. Dong-man who, in the meanwhile finds out Moo-bin’s true identity, frantically comes here. We meet Dong-man as someone who is not very lucky when it comes to relationships. This was the case with his long-term girlfriend but also in his recent attempts to find a girlfriend. A date-fail for Dong-man at Cafe Between [카페비트윈] in episode 1. 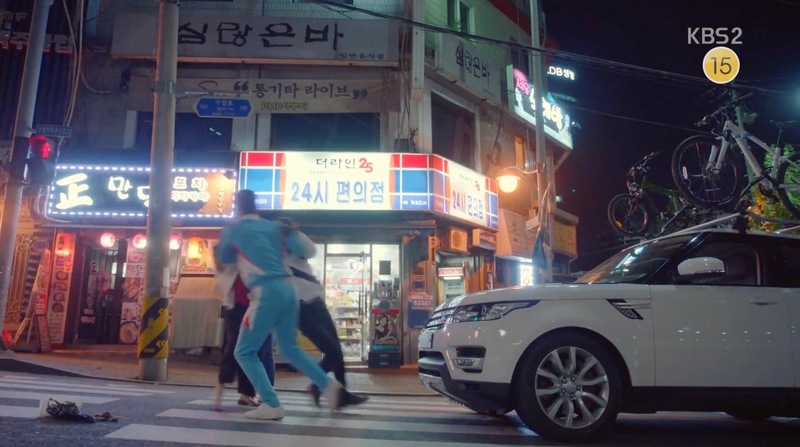 A flashback shows our four friends walking through this street in episode 4 and annoying ex-girlfriend Hye-Ran is clinging onto Dong-man which, in turn, is unnerving Ae-ra. This drama is in part about crucial decisions. Staying in your unchallenging day job with a tyrant as a boss or following your dream job and maybe fail at it? Staying in a already proven relationship or going for a new one? Chosing a job with social credentials or going for a similar job that you prefer but has less social acceptability? Often making these decisions means fighting for and staying true to one’s convictions. 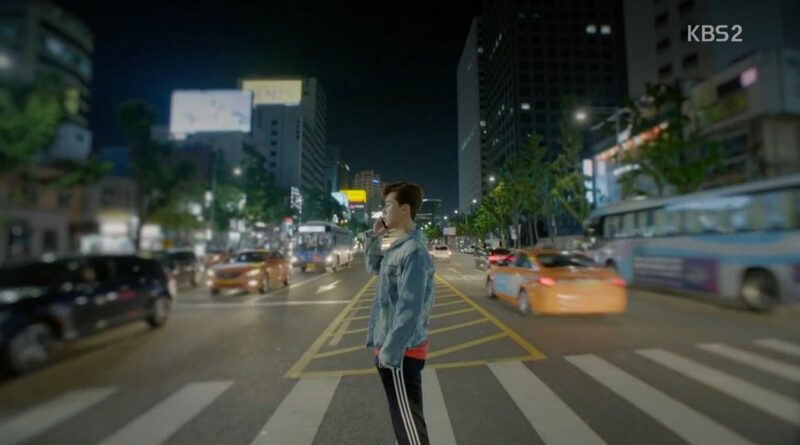 Dong-man quits his job in the middle of Crossroad City Hall Intersection [시청교차로] in episode 4. It is nice how they used a crossroad to symbolize this decision. When we get to know Ae-Ra she works at Shinsegae Department Store — Main Branch [신세계백화점 본점]; not her dream job. At all. She dreams of becoming an announcer. 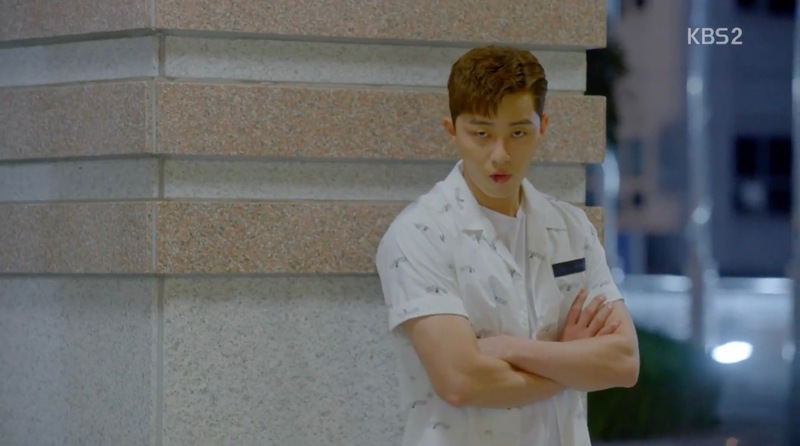 Go Dong-Man (Park Seo-joon) is called over at KBS Broadcasting Station [여의도KBS홀] (which appears here as KBC Broadcasting Station) by a friend to substitute for somebody in a TV show in episode 2 — he fails miserably while his high school rival, Moo-bin does everything right. Later, Ae-ra has a job interview here. Whereas her concurrence all studied abroad and could otherwise work on their specs because they were financially supported by their parents, Ae-ra, on the contrary, had to concentrate on earning her living. An old classmate will look down on Ae-Ra for her social background at her wedding — while inviting her in episode 2 to attend her wedding reception at Villa de Bailey [빌라드베일리]. 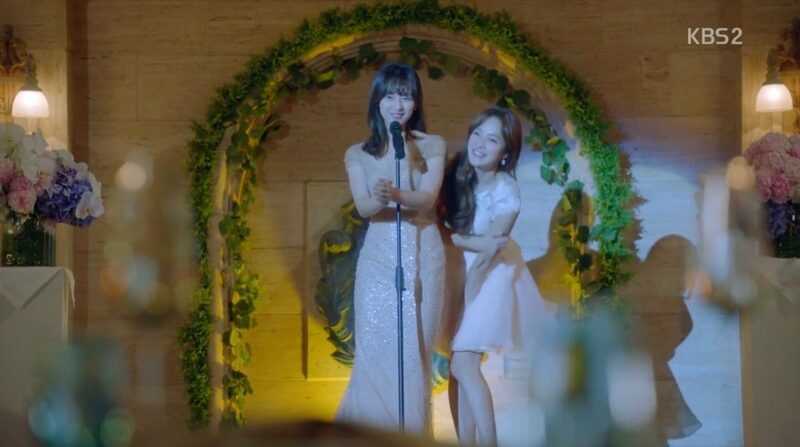 But finally Ae-ra and her skills for hosting events come in handy for the same classmate because she’ll ask Ae-ra to substitute for the announcer on her wedding that didn’t show up at Luka 511 [루카511]. A beautiful dress, a job done perfectly: Ae-ra is in her element. Cleary, this makes her dream again. And again, Ae-ra is caught up by her social background at the afterparty of the marriage that takes place at A.Y Lounge Bar [에이와이 라운지] in episode 2. Three arrogant rich male invites bet money on who takes Ae-Ra home. She finds out about it and takes revenge in breaking the view mirrors of each of their cars — with Dong-man, of course, backing her up. 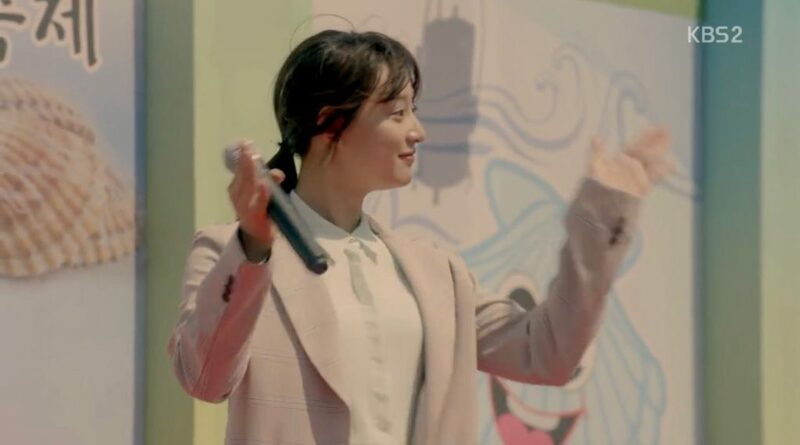 Again, Ae-ra can put her announcer skills to the test at a local event at Ilgwang Beach [일광해수욕장]. Dong-man gave up his dream to become a fighter 10 years ago and as an outcome also became frustrated and distanced to his father. In episode 12, his father comes to visit and Dong-man fetches him at Bus Stop Yongsan Technical High School [용산공고]. This is a changing point in their relationship as his father encourages him to do fighting for a living. And, of course, Dong-man wins with Ae-ra standing at his side while she does the hosting of the fight event. Done right, K-Dramas have a way on their own to talk about everyday life joys and struggles that are just perfect. 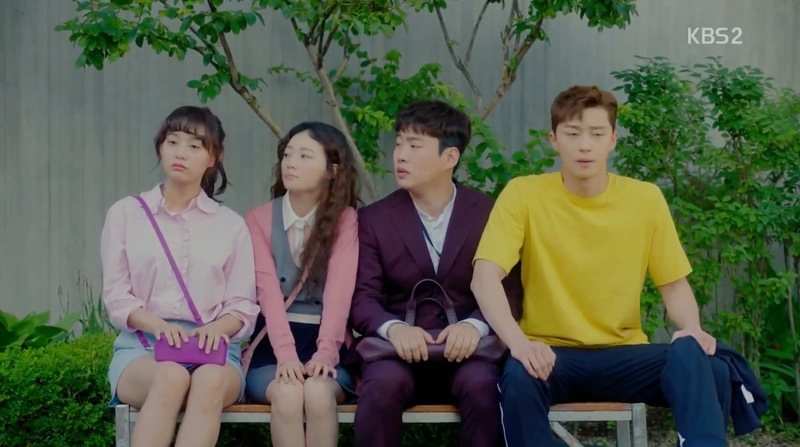 Fight For My Way is such a little gem and will be for sure one of my favorite 2017 K-Dramas. Also, I became curious about some of the locations. The Hongdae locations are definitely on my list for my next visit to Seoul. And who knows? Maybe I’ll make it to Busan one day to visit Namil Villa. this is so informative! thank you for posting such a great blog about FFMY’s locations. thank you for this!! im planning to go to busan and seoul soon! much love! 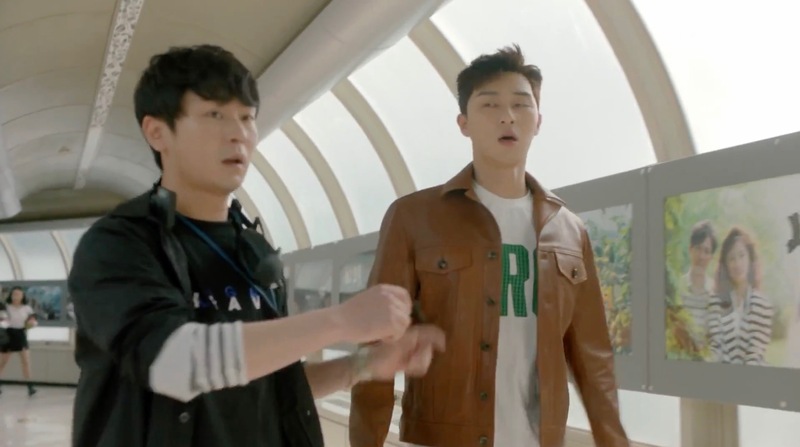 I’ve been searching blog about Fight for my way location especially in Seoul. Thank you so much for sharing this. Hi Elle! I’m happy to hear this! And actually there are quite many (and really nice locations) in Seoul. If you really want to get the Fight For My Way feel, I suggest to go to the Yeonnam-dong locations :). They are all in the same place and they serve as a constant backdrop in the FFMW. 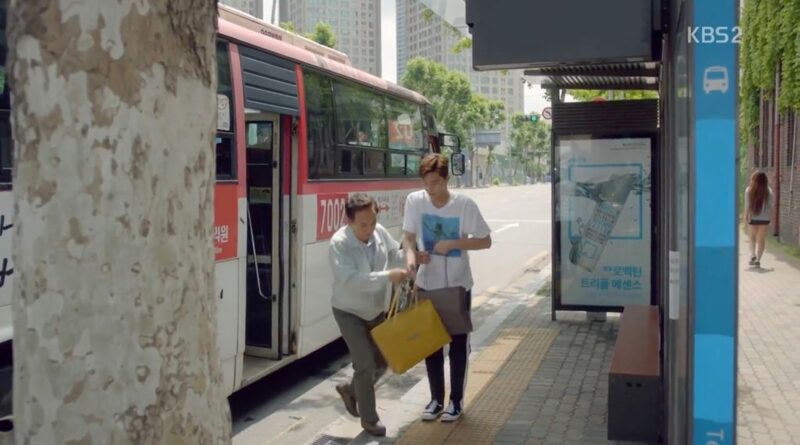 On they way there, you’ll also pass by the Age of Youth 2 house as well (a nice extra, right? ).